The Foreclosure listings continue to rise on Foreclosure.com. 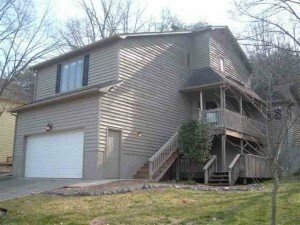 The current Foreclosure.com listings are 267 compared to 239 just a week ago in the York County area. This area includes Fort Mill, Tega Cay, Lake Wylie, Rock Hill, Clover, York SC. Here is a sneak preview of the latest list of new foreclosure listings in the York County South Carolina area. Comments: Charming split level home in Tega Cay! Seller has just completed updating & repairing almost everything in the home! Ready for your buyer to move-in and unpack! New wood flooring in the GR with fireplace! Breakfast area & kitchen, new granite countertops, microwave! New carpet in all bedrooms! New dual vanity & ceramic tile floors in the bathrooms! New paint in & out! Contact me if you would like more foreclosure info. You you should change the blog subject Thursday Foreclosure Update Fort Mill – York Co SC Area Feb 26 2009 | Homes Fort Mill SC to more specific for your blog post you create. I liked the the writing yet.